Leaders from Ethiopia and Eritrea signed a peace agreement on Sunday during a summit in Saudi Arabia, yet another sign of warming ties between two nations that have faced decades of war and unease. Ethiopia’s Foreign Ministry described it as a “seven-point agreement”. “The kingdom of Saudi Arabia praised the leaders of Ethiopia and Eritrea for exercising leadership and courage to restore the brotherly relations between the two countries, thus forming the foundation for a new phase that will bring significant developments in the relations between the two nations in all fields,” the statement added. Saudi King Salman and his 33-year-old son, Crown Prince Mohammed bin Salman, were on hand for the summit in the Red Sea port city of Jeddah. Also attending was Emirati Foreign Minister Sheikh Abdullah bin Zayed Al Nahyan and United Nations Secretary-General Antonio Guterres. 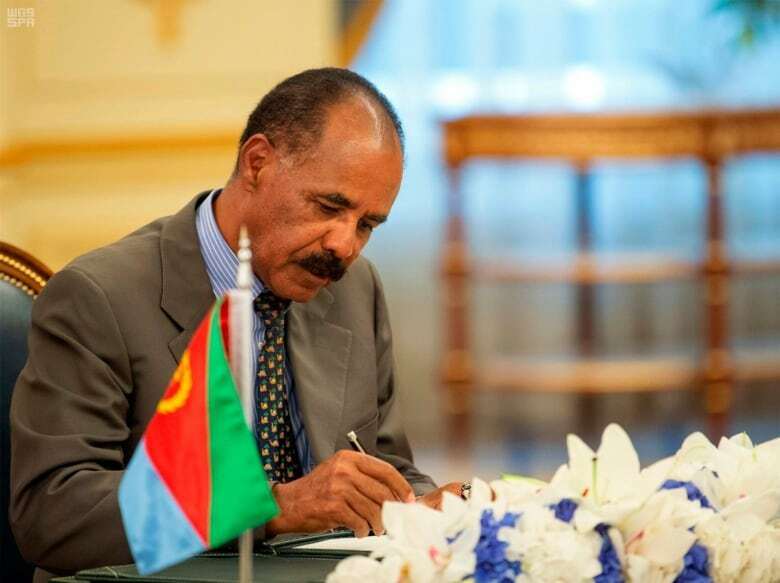 In September, an Ethiopian-mediated effort saw relations normalise between Eritrea and Djibouti after a long border dispute. King Salman also awarded the Ethiopian and Eritrean leaders with the Order of Abdulaziz Al Saud Medal, the kingdom’s highest civilian honour. They earlier won similar honours in the UAE. Ethiopia fought a bloody war with Eritrea from 1998 to 2000 over a border dispute that killed tens of thousands of people. The conflict ended in an uneasy peace with Eritrea, which earlier fought a decades-long war of independence from Ethiopia. Yet that suddenly changed with the election of Abiy Ahmed as prime minister. A whirlwind of talks suddenly ended the long conflict between the two nations in July, with telephone calls and flights suddenly possible between the two nations.